Corey is just a straight up good guy. 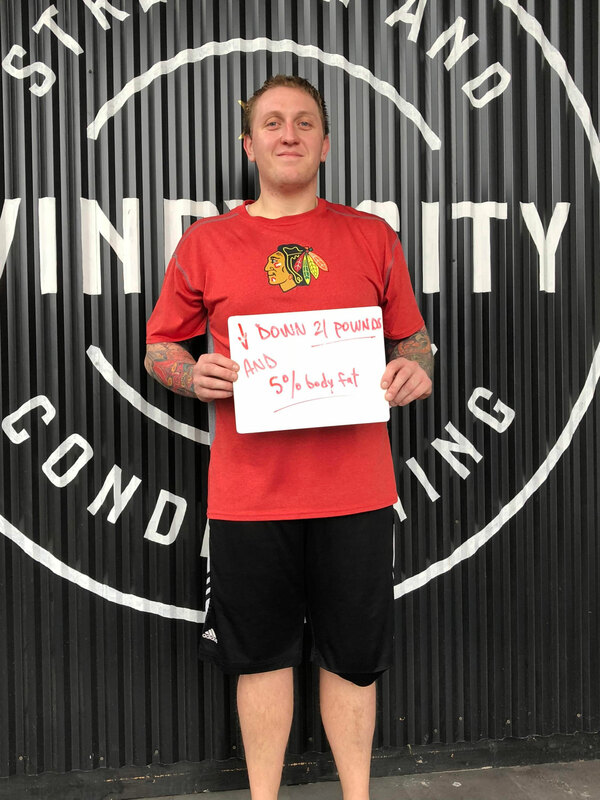 He was the second athlete who signed up for our original six week challenge, and just as he said he would, he completely crushed it. 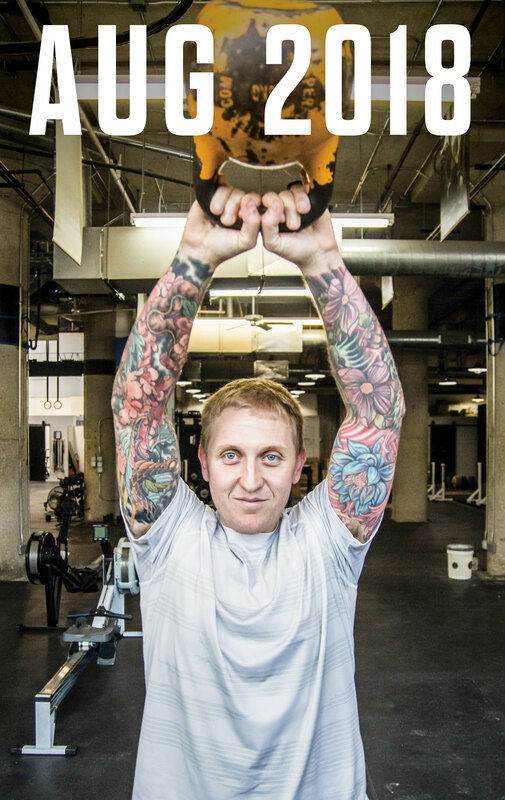 Before we knew it Corey had seamlessly woven himself into the fabric of the gym, hitting up the WOD at least five times a week, ingratiating himself to the community as well as encouraging friends of his to check out Windy City. 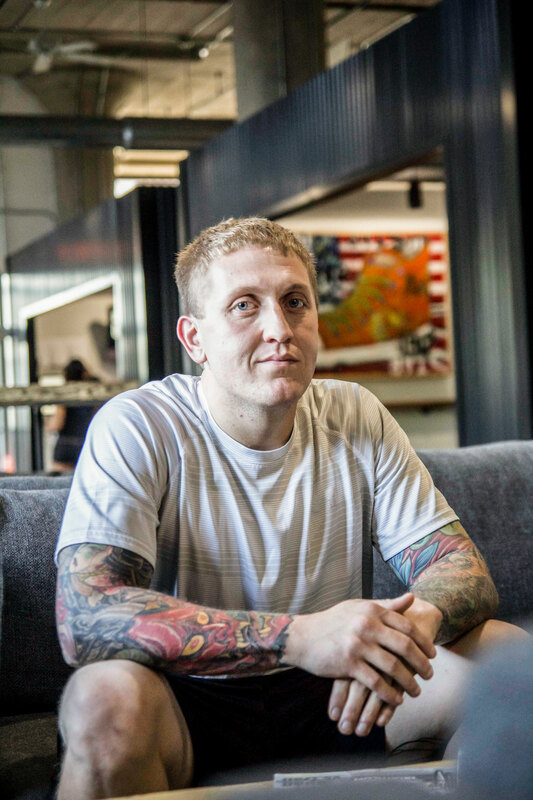 He seems to get a CrossFit PR, new tattoo and tell us some surprising fact about his life every time we talk (he’s played football for the Chicago Fire Department and owns a pizza joint called Waldo Cooney’s). Considering all of this, we were not surprised he was chosen as our AOM, it was only a matter of time. Nickname: Family will call me "C" and friends call me Corey Katz or just "Katz"
“Everything heals. Your body heals. Your heart heals. The mind heals. Your soul repairs itself. Your happiness is always going to come back. Bad times don’t last." 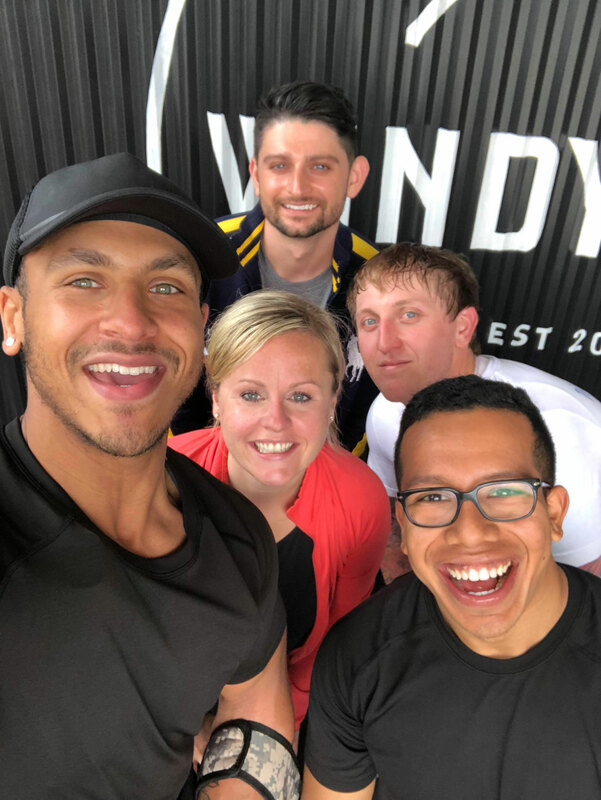 How has training at Windy City helped you? Training at Windy City is the piece of my life that was missing when I was lost and did not know what direction to go. Four years ago I got hired by the Chicago Fire Department and at the same exact time was in the process of opening a pizza place with my dad. It was honestly a dream come true for me. I wish I could have kept that positive outlook but at the same time as my dreams were actually coming true I was going through a relationship that was ending. I tried to be positive and act like it didn’t bother me, but little did I know, you can’t hide from how you are actually feeling. I found myself with this lack of motivation. I didn’t care about much and was just going through the daily motions and going out a lot. This led me to becoming the heaviest I have been in my life. It was a constant struggle for about 2 years before I realized I needed to do something. I decided to quit drinking and started exercising again. I ended up losing 40 pounds but I was not satisfied with that. I knew I had more in me than I was achieving. I was going to the gym 4 to 5 days a week for about 3 to 4 hours a day. I was getting fed up with not seeing the results I believed I should be seeing. That’s when I saw an ad for Windy City and I decided to reach out and see what CrossFit was all about. I ended up going in to take a look and decided to do the 6 week challenge. That day was the day I made the best decision of my life. By the second class I knew that Windy City is where I belonged. It was that positivity and motivation that I was craving. Training at Windy City means everything to me. Since I’ve started training at the beginning of the year I have lost about 40 pounds and 11% body fat. I have never been in shape my entire life or at least the shape I’ve wanted to be in. It is an unbelievable feeling. The results I have seen so far just amaze me. When I first came in I didn’t know anyone. This forced me out of my comfort zone to participate in a type of training I have never attempted. Everyone was so welcoming and nice. I didn’t believe it was real at first. I started going to the 7:30am class and felt myself slip into such a comfortable space, I decided to continue at that time. They were very encouraging and helpful and this was exactly what I needed. So special thanks to everyone at 7:30! It is an honor to be able to call you all my friends. 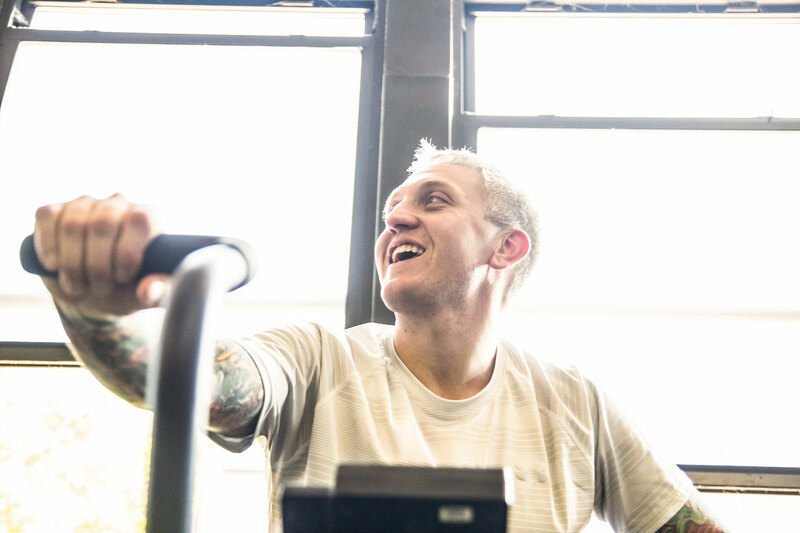 Coaches, you have all been such an incredible help each and every workout, so thank you for helping me. Also a special thanks to the unconditional support and LOVE I receive from my parents! They are a constant force of encouragement to me. Having such an awesome support system at Windy City and from my family have made this an incredible journey. At this time I don’t have anything planned. I have never participated in any races because I never could do it. I’m open to try new things that come my way so I guess I will just wait to see what comes up. I would really like to go to Greece, Germany, Ireland, and London. Next year I would like to go somewhere for my 30th birthday so we will see what happens. Fitness: I have so many goals I don’t know where to start. I would like to be able to do all the workouts RX so I have a way to go but ultimately that’s my goal. Professionally: I already have the two best jobs in the world so my only goal is to keep learning and advancing. I just want to be the best that I can be at both. Personal: I just really want to remain happy and keep a positive attitude towards everything. It is hard to pick because there is a lot that most people don’t know about me. So instead of picking one I’m just going to leave it be and anyone that would like to know can ask me next time you see me. It will be a good conversation starter.